Home / Explore the City / Scouse or Wool? Liverpool’s Big Debate…Settled! Scouse or Wool? Liverpool’s Big Debate…Settled! In Liverpool, there is one question which never fails to stir trouble and ignite feuds and that is; Scouser or Wool? The parameters of a scouse borderline have long been debated, and continue to be a hot topic. But, where exactly did all of this start and why is being a Wool so controversial? Liverpudlians are a fiercely proud bunch, whether it be their music, food or city – the people of Liverpool will passionately defend their identity to the very end. Don’t even get us started on football teams! With the world’s first football quarter containing the Dixie Dean Hotel (representing the blues) and the Shankly Hotel (representing the reds), Liverpool is especially precious about the beautiful game. 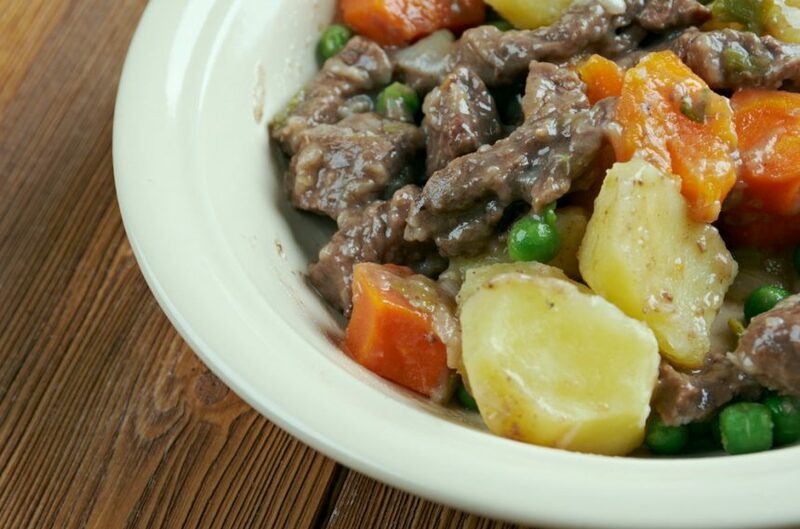 If you didn’t already know, the word ‘scouse’ derives from the popular Norwegian dish ‘Lobscouse’ which is a stew made up of beef or lamb, potato, carrots and onions, typically topped off with pickled cabbage and some crusty bread. In the 18th century, this dish was frequently enjoyed by sailors on the seaports of Liverpool and the people of Liverpool adopted this dish as their own. They adapted it in many wonderful ways – which way is the right way being another argument entirely! After nicknaming the dish scouse, the people of Liverpool became Scousers – but what exactly defines a Scouser? Here are just some of the arguments which outline the criteria you need to meet before claiming to be a proper Scouser. Historically, Scousers are those who were born within hearing distance of the one o’clock gun. This one o’clock cannon became a daily tradition which lasted more than a century in the Port of Liverpool. The gun was placed on the river wall at Morpeth Dock in Birkenhead and was used to give ships a time check. Although, many people on land would use it as an indicator for lunch, too! The eerie sound of this striking cannon could be heard for miles around and many believe that if you could hear the one o’clock gun, you were a true Scouser – including those over the water. Another old wives tale claims that if you were born within eye distance of the Royal Liver Building, then you were a Scouser! Of course, back in the day, the surrounding area of the Pier Head was occupied by factories and businesses, not residential areas as it is now. The city’s high rises were non-existent, so you could argue that the iconic building could be seen for miles. But can’t you also see the Liver Building from over the water? Does this mean that those living on the Wirral are Scousers?! Not quite. 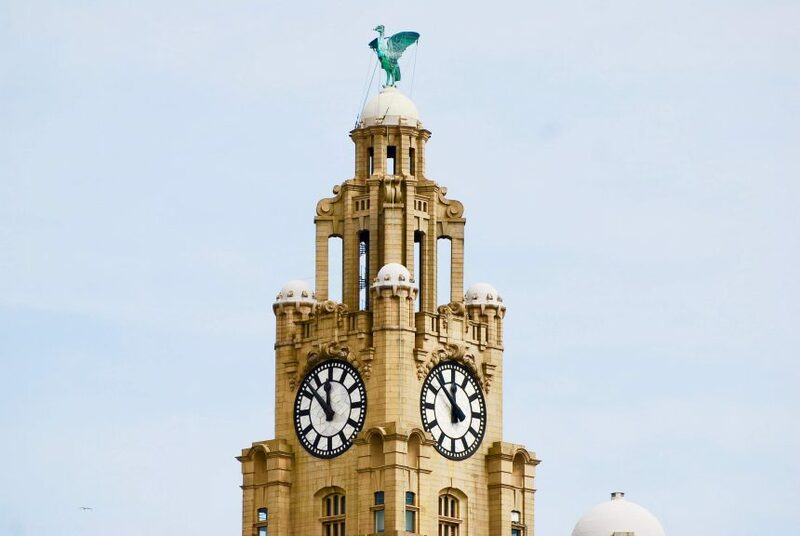 The tale states that if you had to travel across the river to get to the Liver Building, you were not a true Scouser. For some, defining a Scouser couldn’t be simpler. Where were you born? This justification believes that if Liverpool is the city named on your birth certificate, then this qualifies you as a Scouser for life, no matter where you move to. It does beggar the question, however, what about those who were brought up in Liverpool or those who have lived here their entire lives? We think this is where the term ‘honorary Scouser’ comes in. We’re a city that welcomes with open arms, after all! Whenever the argument of Scouser of Wool arises, one question you’re bound to hear is, what colour is your bin? 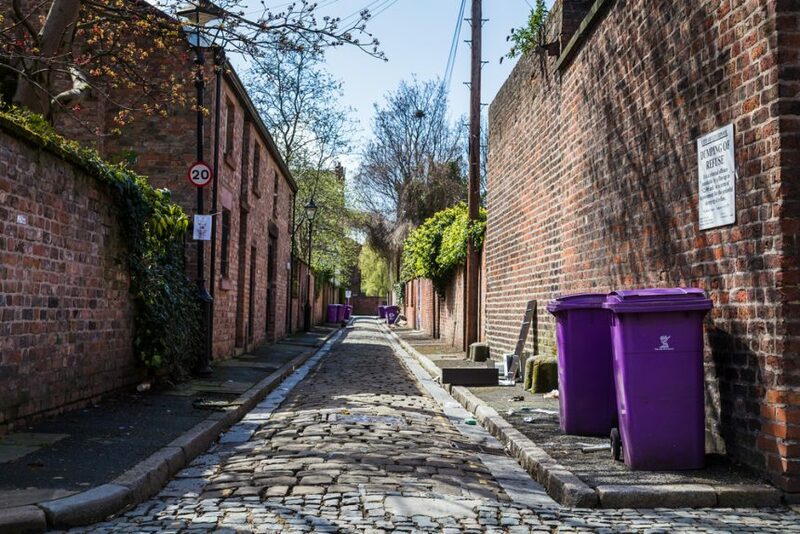 However, this excludes areas such as Sefton and Knowsley, which some will argue are scouse but they have grey bins! Last but not least of course, what about the all-important postcode? 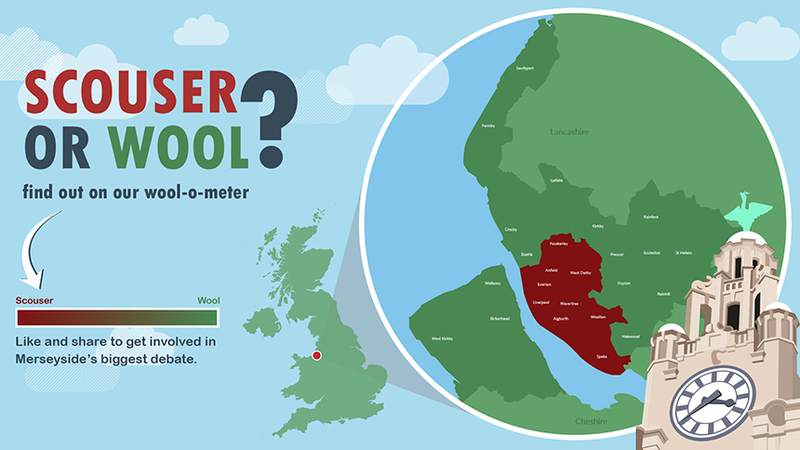 The Liverpool area postcode starts in the city centre and branches out as far as Ormskirk and Prescot who have L40 and L35 postcodes. Having this L postcode is something which locals are hugely proud of. 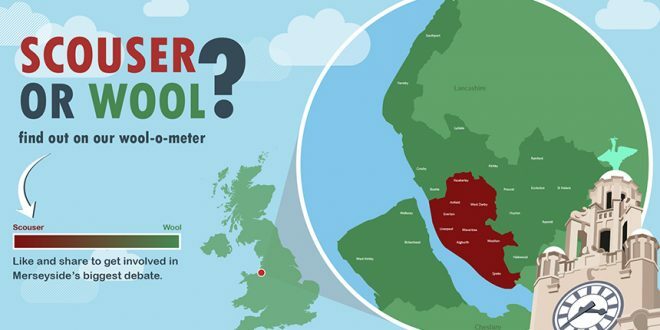 This again excludes those on the Wirral who all have a CH postcode but includes those who are within the region of St Helens and Lancashire, which some will strongly argue are not Scousers. Deriving from woolyback, a wool is defined as someone who lives outside, but near to Liverpool. This derogative term is used to describe those who pretend to be from Liverpool but are not really according to one of the points outlined above. Some believe this includes those from neighbouring towns such as Birkenhead, Ellesmere Port, Runcorn, Warrington, Widnes, Wigan and St Helens – do you agree? So who exactly is a Scouser and who is a Wool? We’d love to hear your views around this, so let us know on Facebook what you think defines a Scouser and a Wool and why it’s so important! Think you know the scouse lingo? See how many of these boss scouse phrases you know.